Many look for a starter pool that’s big enough for the whole family but won’t leave them with an empty wallet. Some are too thin to the point where it only lasts a few weeks and some are too big with frustrating assembly that makes you eventually give up. 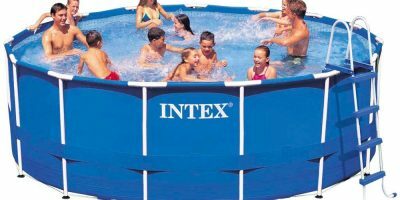 If you want an above-ground pool that’s both affordable and built well enough to last throughout the summer, try looking into the Easy Set Pool by Intex. 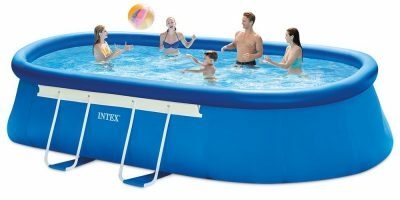 The smallest size in the Intex Easy Set pool series is the 8ft x 30in model, which is big enough to fit up to 3 to 4 people. 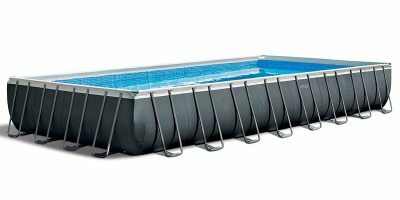 It’s one of the more popular above ground pools on the market because of its quality and strength. This type of pool is ideal for those who want to spend less time installing and more time splashing around since manufacturers claim that assembly (see video below) takes no more than 15 minutes. 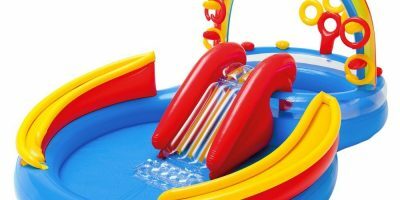 Because of its tough laminated PVC material, it holds up to any rough play like jumping, bumping, and any other sorts of abrasions, not to mention that it’s also resilient against sunlight and salt water. This pool set provides you with a 110-120V filter pump that has a dual suction outlet for better water circulation along with a setup and maintenance DVD for your convenience. Unfortunately, it doesn’t include a ladder, ground cloth, or pool cover, but considering it’s only 30 inches high, a ladder probably isn’t necessary. 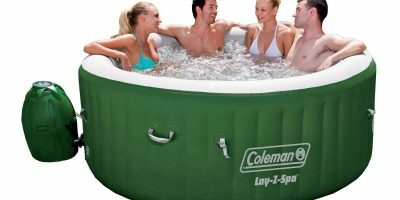 Smaller sizes of the Easy Set pools take about 10 minutes to fill with water while the larger sizes take around 30 minutes. The pool is available in the following sizes: 8ft x 30in (this review), 10ft x 30 in, 12ft x 30in, 15ft x 36in, 15ft x 42in, 15ft x 48in, 18ft x 48in. 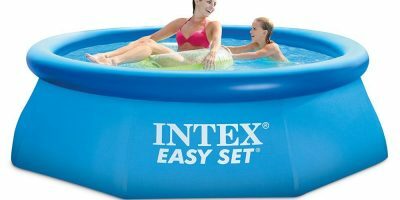 Intex Easy Set pools are designed to be easy to assemble and maintain, be durable, be easy to store, and to be affordable. These factors are what make them an ideal fit for small families or a few friends. 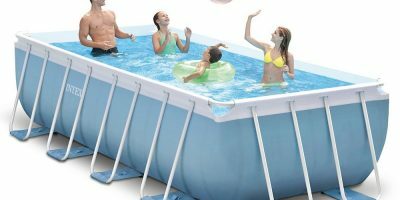 Because of its simple structure, the pool is portable which means you can dissemble it, pack it up, and set it up again in a new area. These sets usually come with a filter pump and a setup DVD so that you can enjoy your pool in less than 15 minutes.